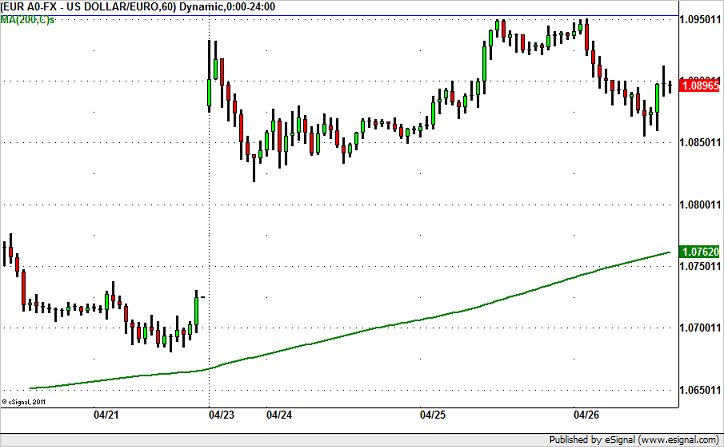 The EUR/USD’s inability to sustain its gains above 1.0930 bad news for the currency. The ECB meets tomorrow and chances are Mario Draghi will take the opportunity to emphasize the central bank’s dovishness. Although most of the recent economic reports from the Eurozone have been positive, the central bank’s hands are tied because inflation is low with consumer price pressures easing further in the month of March. At some point, the improvements in the economy will drive up prices but for the time being, subdued price growth allows the ECB to keep monetary policy easy. The biggest problem for the ECB is the rising euro. Inflation is low and the recent strength of the currency only drives price pressures lower. Draghi made it clear last week that policy remains accommodative, a stance that he is like to reinforce on Thursday. Technically, the hourly charts show a potential head and shoulders pattern in formation with 1.0950 as the main resistance for EUR/USD. The “neckline” is at 1.0850 and should that break, it would be smooth sailing for the currency pair down to 1.0750/60, the gap low.